A sight I thought I would never see again on the roads. Haha. Used to see them a lot in my childhood days in West Malaysia as I grew up. For a season we were even given their milk for breakfast! So there they were – nonchalantly strolling down the road, never you mind. Someone honked but most of us just evaded. Traffic came to a standstill. And rightly so. 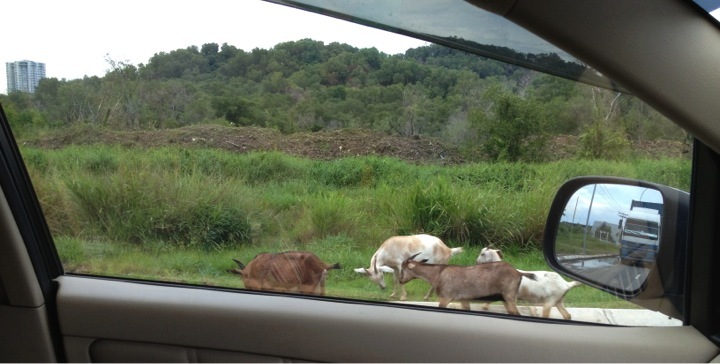 A herd of goats was about their business.